Beautiful buttons can turn an ordinary garment into a unique fashion item. Often, when you purchase a blouse, the buttons are quite ordinary. You can remove the buttons and cover them with crochet thread to match or complement the colour, and reattach them. Button covers can be made with yarn or thread; the smaller the size thread and needles, the more intricate the button cover. You can make your own buttons using small rings (which can be purchased) and covering the rings with thread. Chain 3 and join into a circle with a slip stitch. 1st Round: Work 6 dc into the circle, joining with a ss in the first dc. 2nd Round: Work 2 dc into each dc of previous round, join with a sl st into first dc. 3rd Round: Work 1 dc into each dc of previous round, joining with a sl st into first dc. Repeat 3rd round until button mould is covered. Last Round: * Miss 1 dc, 1 dc into next dc; repeat from * to end, join with a sl st into first dc. Slip crochet cover over button mould. To secure, draw thread through each stitch around on under side, tighten and knot. Leave an end of thread to sew on the garment. Work a round of close dc all around the ring, joining with a sl st into first dc. Across the back of the ring, work strands of yarn diagonally across ring and sew to the garment through the centre of these threads. Wind yarn 8 times around the end of a pencil, slip off and work 16 dc into this ring, ss to first dc. Continue in rounds working 1 dc through both loops of each st until work is large enough to fit over button mould. Fasten off. Thread yarn around edge, fit over mould, draw up and fasten off. With main colour, make 10 ch and ss to form a ring. Round 1: 3 ch, 4 tr in ring, remove hook from loop and insert in 3rd of 3 ch, draw loop through, (3 ch, 5 tr in ring, remove hook from loop, insert in top of first tr and draw loop through) 7 times, 3 ch, ss to top of 3 ch. Fasten off. Round 2: Join contrast colour to first ch sp, 3 dc in same ch sp, (3 dc in next ch sp) to end, ss in first dc. With main colour, make 4 ch, 11 tr in fourth ch from hook, ss to top of 3 ch. Round 4: With contrast colour 3 ch, 1 tr in next tr, 3 tr in next tr, 1 tr in next 2 tr (1 tr in next 2 tr, 3 tr in next tr, 1 tr in next 2 tr) 5 times, ss in top of 3 ch. Optional Finish: Work an additional row of sc around the outer edge of the button. The capital market is the market in which all existing facilities and institutional arrangements are developed for borrowing and lending medium and long term funds. In simple term, the capital market is a market for raising and advancing money capital for investment purposes. Normally the private sector industries, agriculture and also the government have a large demand for long term funds, and in addition to that capital markets are also utilized for the economic development of the country. The state and the central government uses the support of capital market for developing infrastructure facilities such as transport, power, irrigation, communications etc. along with the development of basic industries. In a capital market, the supply of assets originates from several sources such as individual savers, corporate reserve funds, different banks, insurance agencies, specific money-related organizations and furthermore the Government. We can see the capital market is necessary for the growth and development of public and corporate enterprises of a country. Mainly the capital market is made up of borrowers, who need funds and the financial services who supply funds in the market. The capital market always offers an adequate amount of funds to any industry and business house at a reasonable rate which is required to result in high perspective yield and to make the borrowing worthwhile. This market is supported by the Reserve Bank of India for promoting semi-government and government securities. In the guilt-edged market, the value of securities are always stable, so this capital market fund is very much demanded by banks and other financial institutions. The industrial securities market mainly deals with the shares and debentures of old and new companies. This part of the capital market is again divided into new issues of the market and stock exchange which is also known as the old capital market. The new issues market is one which raises new capital by selling shares, debentures, and cryptocurrency issued by companies. But while trading the cryptocurrencies one should first read Bitcoin Loophole full review. The stock exchange system mainly refers to the marketing set up of securities already issued by companies. Primary Market: it is a kind of new issue market which issue shares and debentures of various non-government public limited companies and they also raise new capital for government companies and issues public sector bond also. Secondary Market: it is a capital market comprised of stock exchange or industrial security market. Secondary market is engaged in buying and selling of industrial securities. 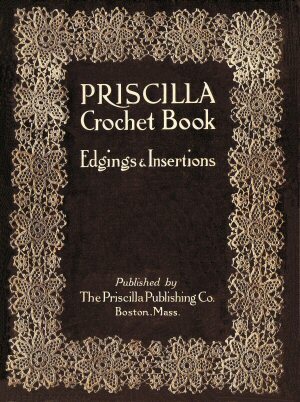 REPRODUCTIONS of original Knitting, Crochet, Tatting, Lace, Doll books and patterns. Instant download or scanned and burned onto a CD-Rom in PDF format. Adeline Cordet / Belding Bros.
REPRODUCTIONS of original knitting crochet needlework pattern books. Instant digital download in PDF format with no shipping cost. Afghans to knit and crochet in a variety of styles and textures with charts. Payment can be made through Paypal or by money order. Use your credit card with a PayPal account no matter where in the world you live. Registering with Paypal is secure and free. This is a PDF Digital Reproduction of a book with instructions and pictures for many different edgings and insertions. Some are fairly plain and some are quite elaborate. Some are thin enough for handkerchiefs and some are quite wide. ClicPic Click small picture to enlarge. ClicPic Gallery Software.